Being swallowed up can be a good thing for social enterprises struggling to grow, discovers Isabelle de Grave. But you'll need to fight fear with trust, catch the right wave and ride it to new heights. The ultimate measure of success for many in entrepreneurship is to be purchased by a bigger company for large amounts of money. But few social enterprises and voluntary sector organisations integrate mergers, acquisitions or even joint ventures into their business planning. Why the merger phobia? And in the social business and charity world where financial exits aren’t the aim, how might organisations benefit from such strategies? “In the face of budget cuts and challenging commissioning environments it is an alternative more social enterprises should consider,” says Ed Siegel, director of investments at Big Issue Invest, the social investment arm of The Big Issue. For Richard Williams, director of enterprise at NCVO, mergers and what he calls "collaborative partnerships" should be an annual strategic consideration. Earlier this year the Richmond Fellowship, one of the leading mental health service providers in the UK, acquired MyTime – a community interest company (CIC) that provides holistic and intercultural psychological services. The Richmond Fellowship bought a 76% shareholding in MyTime for £156 and the group took on its assets and liabilities. This included the purchase of Big Issue Invest’s £100,000 preference shares. It’s not the sort of 'billion-dollar buy-out' headline that shapes the dreams of tech entrepreneurs. But for MyTime CEO Michael Lilley this was an opportunity to turn his back on failure, pursue his ambition, and grow the social impact of his business. MyTime had enjoyed start-up success but were facing failure in so far as there was a growing gap between where they found themselves and where they wanted to go. An ambitious organisation, they won a place on the Big Issue Invest Tech for Good challenge in 2013, and secured a growth investment of £100,000. But budget cuts and the 2013 Health and Social Care reform currently being put in place conspired to create a challenging commissioning environment. Like many other social enterprises that rely on local authorities and health bodies to commission their services, MyTime hit rocky waters. “Contracts were getting bigger and we couldn’t grow quick enough to build the capacity to go for those contracts,” says Lilley. When contracts did materialise, “their value was much reduced compared to what MyTime had previously experienced,” explains Big Issue Invest's Ed Siegel. “It reduced their turnover,” he adds – something no social investor wants to see off the back of a growth investment. A lack of contracts to bid for, as the sector reformed under the Health and Social Care Act, compounded the situation. “Our fear was that when contracts came out we wouldn’t be in a position to compete,” says Lilley. Faced with the clear need to renew the organisation’s growth, the first port of call was to develop a consortium, the second strategy was to find an organisation to merge with. It was a combination of luck, mutual interests and successful compromise that brought the merger into being. Finding the right partner wasn’t easy. “We kissed quite a few frogs,” says Lilley. But no prince appeared. Just as MyTime were about to give up hope, a new suitor arrived, who promised to be the best match yet. MyTime had a range of suitors and had been flirting with housing associations, who could give the organisation access to people that could benefit from its services. “But we struggled to speak the same language,” says Lilley. He soon decided that if there was a match for MyTime it had to be in the mental health sector. MyTime had all but run out of options when the Richmond Fellowship made an approach. A behemoth in the social sector, the Richmond Fellowship runs 120 localised services, employs 886 staff and works with 9,000 people across the UK. 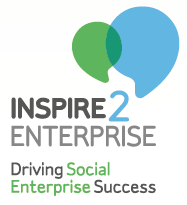 Its services include specialist social housing, care homes, community based support schemes and employment services. Together these services brought in £33.4m during 2012/2013. Though it was clear MyTime had hit a ceiling, and had a comparatively miniscule turnover of £696,000 in 2012/13, the Richmond Fellowship was very interested in what the small but innovative CIC had to offer. “For us it wasn’t about size or scale, it was about what difference they could make to service delivery for people that we are contracted to provide services for,” says Derek Caren, the Richmond Fellowship's CEO. MyTime filled a clear gap in the Richmond Fellowship’s services. “We’re very much a psychological service, and we are the only psychologist in the group, so there was a clear missing piece of the jigsaw where we fitted in,” says Lilley. Caren describes MyTime as asset rich. “They are people rich and research rich,” he explains, adding that the connections that MyTime have in the private sector with businesses interested in social investment also boost their appeal. Though its growth plan had stagnated, MyTime strove to maintain a presence as a future-oriented organisation. For Lilley, MyTime’s emphasis on research and the risks that he took investing in future products and services was crucial. Time and resources were heavily invested in researching the products and services that people suffering with mental health issues will need in a fast changing world. “We’re able to give the Richmond Fellowship lots of well-researched, innovative products and services – as changes happen in the mental health sector, we’re in a very good position to win contracts together,” says Lilley. With the access to a network of new services users, operational skills and financial clout that came with joining the Richmond Fellowship group, Lilley has a reinvigorated ambition for growth. “We are now going for larger contracts and could literally treble in size over the next 24 months,” he believes. The partnership promises to be a fruitful one for both sides. MyTime has retained a strong degree of independence – it has its own board to clear decisions, full control of its budget, and did not see any job losses as a result of the merger. But there was a psychological struggle. “I’m probably still in therapy,” Lilley jokes. One of the single biggest reasons that social businesses and charities feel little urge to merge appears to be the emotional struggle involved. We've all probably heard of 'founder's syndrome'. Many founders fear losing control of their organisation, and are reluctant to trust the new parent. So, what emotional struggles were involved in this case? What uncomfortable discussions were had and what compromises made? Lilley describes the process of merging as “an emotional rollercoaster”. He says: “There was a concern that everyone in the organisation could suddenly go and a worry that if new people came in that things would change." Lilley was particularly sensitive to the idea that the legacy of his organisation might be uncertain. If he had felt that what he believed in was under threat, he would have been prepared to abandon the deal. Survival was not the only key issue for Lilley. “If the merger hadn’t gone ahead we would have had to reduce our size. We would have survived but we would have been limited in our growth,” he says. Siegel of Big Issue Invest adds: “It would have meant accepting that they could only exist as a less ambitious MyTime." But Lilley’s founder fears were soon appeased. A trading agreement that began three months prior to the merger meant that the Richmond Fellowship and MyTime spent several months getting to know each other. “I was able to have experiences with the Richmond Fellowship team which convinced me that the original idea that I had 15 years ago would be safe,” he says. But many charities and social enterprises are unprepared to muddle through the merger process. For Williams of the NCVO, mergers and other such partnerships are a preferable alternative to the stagnated and uncertain existence that many social purpose organisations choose to endure. “Too many organisations opt for survival on a knife’s edge and will sit with two months’ worth of cash in the bank, inoculated against the reality of an uncertain existence,” Williams says. But there are challenges – and the threat of compromise sits uncomfortably with an organisation’s stakeholders. “Not everyone is nice in the world of non-profit and social business,” Williams points out. But when one organisation is in distress and the other poised to takeover, “a reluctance to exploit an unequal power dynamic is what one would like to expect”. For smaller enterprises that need the support of a larger organisation, it can be difficult to negotiate on behalf of stakeholders. But Lilley was poised to fiercely protect the rights of MyTime’s service users. And the Richmond Fellowship was prepared to listen. MyTime is one of relatively few organisations where service users are shareholders, owning 24% of MyTime’s shares. Continuing with this structure was a condition that Lilley wanted written into the terms of the new agreement. But Caren was keen to build the foundations for a successful partnership. His strategy was to connect the staff, service users and board members from each organisation with their equivalents at the very beginning. “That was a real plus that meant that everyone felt part of the journey,” says Lilley. “We’ve listened to each other, shared what has been on our minds, and we’ve compromised where there has needed to be compromise,” says Andy Whitehall, special projects manager at the Richmond Fellowship. Lilley adds: “The skills of the organisation are being embraced and consulted, and we’re not alone, there are five smaller organisations within the Richmond Fellowship group, meeting them and sharing with them has been reassuring – we’ve merged into a family." And if MyTime and Richmond’s happy partnership doesn’t give you the urge to merge, this just might. Caren is not into the game of empire building. “We’re not looking to be an absolutely massive group,” he says. But he recognises the competitive edge that small, agile organisations with specialisms can bring a larger outfit.